Are you looking for a way to have a nice green lawn in Melbourne (Victoria) without having to spend lots of time on maintenance works? 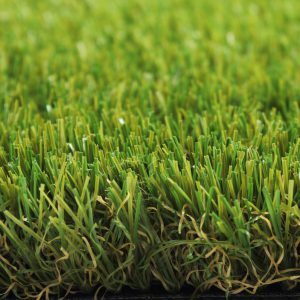 Have you considered buying artificial grass from Royal Grass®? 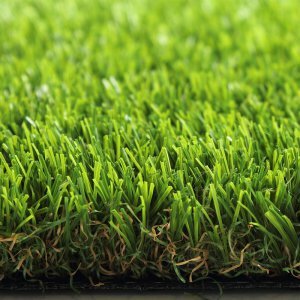 Royal Grass® offers artificial grass products of the highest quality and with the lifelike appearance of natural grass. You do not have to worry about those pesky maintenance works because the products are virtually maintenance free. 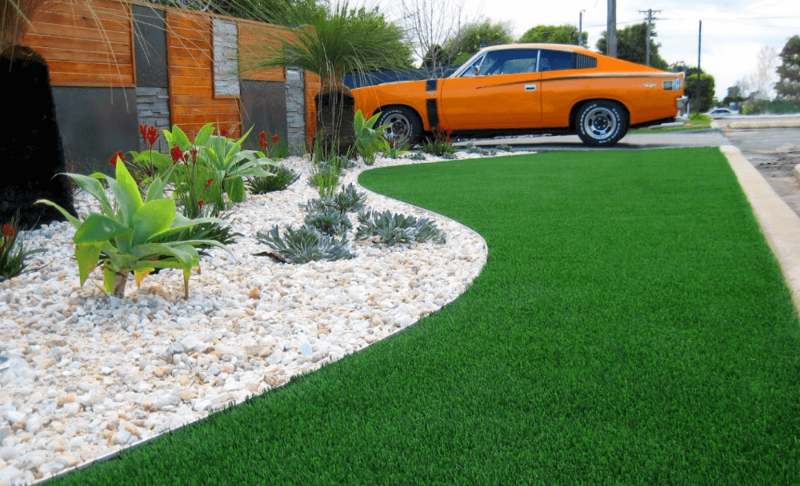 You can buy artificial grass from CJP Landscaping, the official Royal Grass® dealer in Langwarrin, Melbourne. If you would like some more information about our products or if you are looking for advice on the installation of your artificial lawn, just contact this dealer. The team of experts will be happy to help. When you have decided to buy artificial grass, of course, you want it to last for many years. It should be beautiful when you buy and install it and with time it should also stay beautiful. That is why a product of Royal Grass® is an excellent choice. 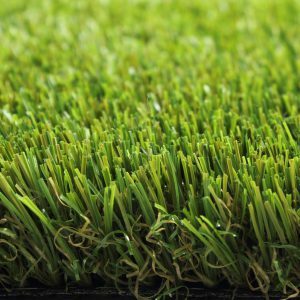 All our artificial grass products are made from top quality materials and are provided with a double backing; a long lifespan assured. Our products are all protected against the fading effects of UV rays, so your lawn will stay nice and green. 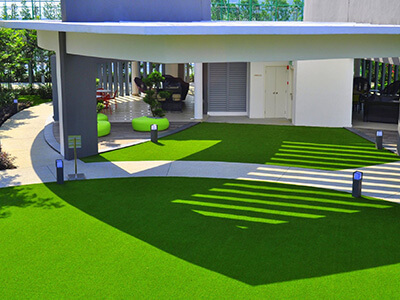 Another advantage of Royal Grass® artificial turf is the lifelike look it has. Royal Grass® uses several innovative techniques during the manufacturing process. For instance, we have thoroughly examined the characteristics of natural grass, so we could determine how to copy them. As a result, we have developed our patented V shape®. With this technique, we were able to give the fibres of our products a V shape with a longitudinal grain, just like natural grass. In addition, we have developed Mint® (Micro Nerve Technology) and ReaDY® (Realistic Directional Yarn). Another thing to consider is safety. Royal Grass® products have all been tested extensively by independent testing authorities according to the most stringent European safety standards. They have used the same standards as those used for children’s toys. Every single test has proven that Royal Grass® artificial grass is safe and does not pose any risks to health. What many people probably like most about having a lawn with artificial turf, is that it requires very little maintenance. There is no need to mow the lawn and it does not need any water to grow. So, in addition to saving you time, artificial grass also saves you water and money. 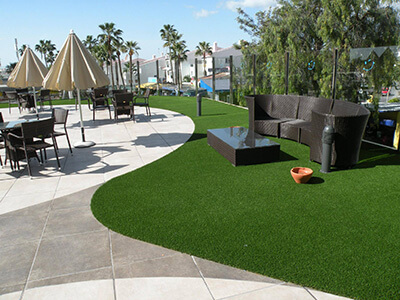 Artificial turf is great for locations where it would be difficult to have a natural lawn, like gardens with little sunshine or roof terraces and balconies. 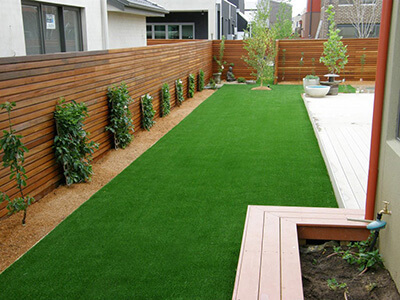 Artificial grass can be installed on pretty much any subsurface as long as it is firm enough and water can be drained. Do not worry if you have pets. Artificial grass is suitable for pets too. It is 100% safe, so it does not matter if your dog or cat licks it or chews on it. It is also very easy to remove any excrements or urine. All you have to do, is rinse the spot with some lukewarm water. If the lawn is a bit smelly, you can use organic cleaning products to get rid of the urine smell. As artificial grass is very robust, your pet can play on it as much as he wants. Your lawn will not get damaged. Royal Grass® has carefully selected several partners to sell our artificial grass products. If you live in Melbourne, you can visit CJP Landscaping in the Langwarrin area. This is one of our official Royal Grass® dealers in Melbourne (Victoria). Are you considering buying artificial grass? Or would you like some more information about the Royal Grass® products and the costs? Please contact CJP Landscaping in Langwarrin and they will be happy to help.